My kids’ dreams came true. They saw actual snow. And lots of it! For Winter Break we went with some friends to Deer Valley in Utah. Jay and I LOVE skiing but we’ve always been afraid to take the kids, for fear that they would complain, whine, and possibly not like it after we paid all that money! I’m happy to report Isaac loved it and was skiing blues with us after two days in ski school. And the one who I thought would love it, would probably be happy not ever doing it again! Emery cried the whole way down the mountain. And then I about cried the whole way back to the condo because that was the end of skiing for me! Y’all want some truth? I know you have seen a lot of advertisements for Knock.com, Opendoor.com and other new companies that have entered the market that are what I consider “discount” real estate brokerages. Or, at least, you think they are going to be discount. I can assure you that I have a friend who works for one of these said brokerages, and she confirmed that a seller will end up paying out about 10% in money and fees all said and done. Why do people consider using these companies? Discount brokerages work better in a good real estate market. And that is where we have been for 8-10 years. Sellers who use these companies want speed + simplicity + certainty. You can’t care as much about your bottom line. What do we offer? Hi touch + hi value. There is never a substitute for insight, advice, and guidance by a knowledgeable and skilled agent. Contrary to what some think, we can help save you from making an expensive mistake, overpaying for a property, and not fully vetting your options. Buying a home is likely the single largest purchase you will make. A little online knowledge can be dangerous when it leads buyers to believe they know better than an agent. Beware. We want nothing but the best for our clients. And usually that translates for our sellers to selling in the shortest amount of time and for the most amount of money. Am I right? While we foresee the real estate market to continue to be strong and healthy this year, we are returning to what we would consider a more normal market. This means seeing some price reductions, less home value appreciation, and less actual sales. The Pumpkin Patch was a great success!! I cannot thank you enough for coming this year. Some of my clients came from as far as Suwanee and Snellville, GA. Please know that it really meant a lot to me that so many of you came. I love our events and getting the opportunity to see you again! Kate and I joined National Charily League (NCL) this year. NCL is a charitable, non-profit mother daughter organization. We have been enjoying giving back to the community together. 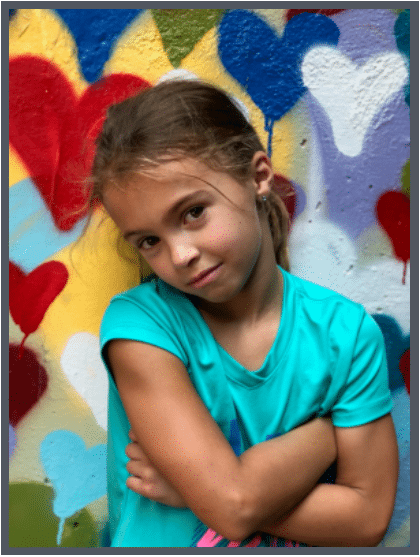 This organization also teaches the girls how to become leaders; they require you to take on positions within the organization and guide the girls through the process starting in the sixth grade. She will finish up her senior year ready for college. We have fed the homeless on several Sundays, cooked brunch at the Ronald McDonald House and will be volunteering at Boo at the Zoo! Kate and I agree, it feels so good to step out of our bubbles and help others. It has been a great experience for us and I would be happy to tell you more about this organization if you are interested. Kate is out of soccer for a couple of weeks as she heals her sprained ankle. Jack is working on a robot with his VEX Robotics team at Dunwoody High School. In Vex, the students are told what tasks their robots need to be able to do and then they compete against other teams to complete the most tasks in the shortest amount of time. The students are given the supplies but create their own robots however they want. DHS hosted the first VEX competition and Jack’s team came in 4th place. That is pretty awesome for four freshman boys competing against 100 other high school kids in DeKalb County. I really love Jack’s passion for creating things. He always tells me that he wants a career when he is older where he can create things to help people or just make things easier to get through their day. I have been telling everyone that the word on the street all summer was that interest rates would be going up in the fall. And guess what? They recently did! That being said, the rates are still pretty low. What’s nice about this time of year, is there seems to be a little less competition out there to have to bid against. We typically stay busy through fourth quarter and keep ramping up into the next year. I may sound like a broken record, but It’s a great time to buy and sell. I am here to help you, please let me know what you need help with. Happy fall y’all. Well, almost! Everyone says we have had a mild summer but man has it been hot and humid. I am a summer girl and even I’m ready for some relief. The kids are back to school in full force! All are happy and have gotten off to a great start. Andrew is in 6th, Mary is in 4th, and Alex is a freshmen at St. Pius. 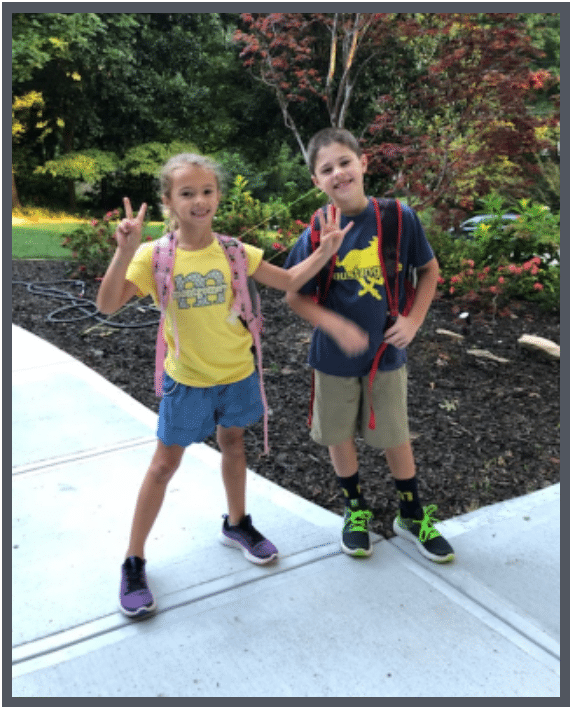 Mary and Andrew still on familiar ground at Intown but Alex has entered the whole new world of high school. He is taking it in stride like true Alex form. I am adjusting to trying to let go and let him find his way. At Intown, he had 3 classes and now he has 7. All communication is straight through the students and not the parents. A good thing but different for this controlling Mom who is used to being in the know and checking then double checking to make sure he gets everything done. Andrew now gets to play middle school sports so he is playing soccer for Intown. Alex is staying after everyday for weight training and conditioning for upcoming basketball tryouts. Mary is deep into fall softball. Jason and I are hanging on for dear life trying to keep up! 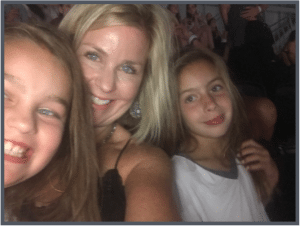 I have had a personal family situation going on that I feel has brought me to my knees over the past month. However, I am trying to turn it over to God and know that He is in control. Thoughts and prayers would be appreciated. On the work front…..My affirmation has been: If the actions you are taking are not producing the results you want, then the only logical thing is more actions or different actions and the results WILL show up. What does that mean in real estate? Well, the past few months have been slower for me. I have clients that are ready to buy NOW but finding the house has become more challenging by the day! Inventory is so slim and prices are so high for what you get. What different or more actions am I committed to doing for my clients? I will not stop until we do find the house. I will stay on the phone daily searching and trying to open up the market so that I can reach the goal of helping 60 families make their dreams come true! Thank you Brent and Saori Jones, Caitlyn Cooper, and Erica Engsberg for your referrals! Everyone set your calendar for October 13th for our annual Pumpkin Patch. Looking forward to connecting and as always SEND YOUR REFERRALS. We love and appreciate you! That’s a wrap folks! And just like that, Summer is over. I have vowed that I will always have a summer beach vacation, unlike this year. It just doesn’t feel complete without it. Not to mention my huge FOMO scrolling through Facebook looking at everyone’s lavish vacations!!! While you were lying on the beach, I was busy working. We are very excited about school this year. Both kids really like their teachers. Their sports are the same story, just different season! Isaac is still playing baseball, and I am wildly encouraging him to try tennis or basketball. Emery was playing softball again, but now she has a 4 hour Saturday practice in addition to her other 12 hours in the gym during the week. We’ve decided it’s just too much. In addition, she is part of a TOPS group. 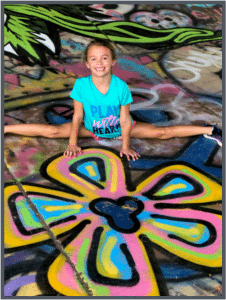 Basically, all you need to know is it is strength and conditioning for gymnasts in a certain age group with a specific level of skill. She placed within the top 50 nationwide! I don’t really know what it means, but it sure does sound good! Now that Labor Day is behind us, I’m interested to see what will come of our market this Fall. August is typically slower, and it was, with back to school and football season starting. Not that there is a lack of buyers in the market; I think there is a lack of inventory. 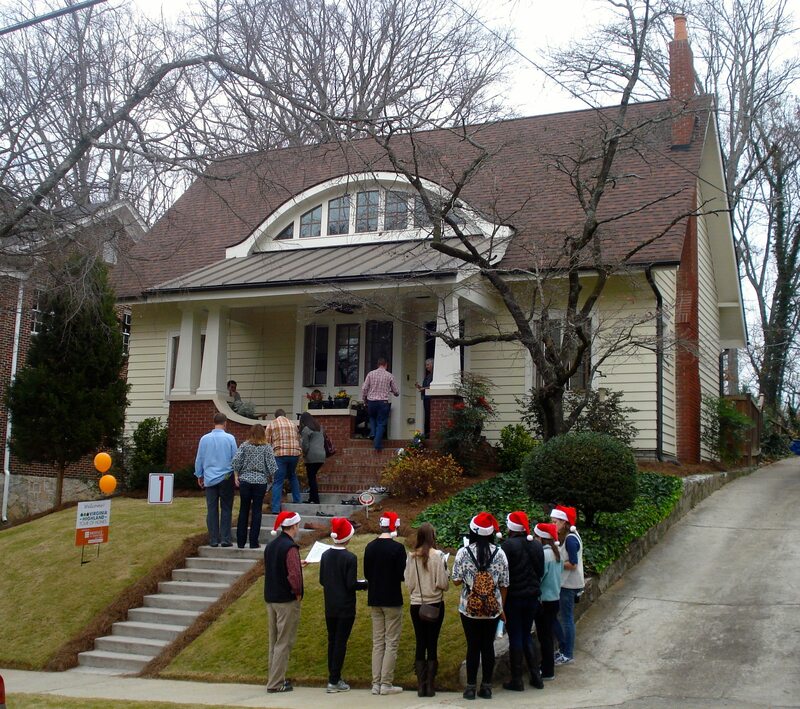 Our buyers agents are pounding the pavement, uncovering unlisted and upcoming properties for our buyers to look at. It is a team effort. We need more houses to sell, so if you are thinking about moving, you have little competition in the market today than compared to the Spring market. The statistics year to date even show that house sales across Atlanta are down compared to 2017 while the appreciation is up almost 7%. Take advantage while the gettin’s good! HAPPY FALL! I think the general consensus from people lately is that they are tired. I think we are all running ourselves ragged and maybe a little crazy. With that being said, what has the Suits Family and Team been doing? All 4 kids are back to school. Lindsey is a Sophomore and turning 16. We just threw her a sweet 16 party. It was so much work that it felt like it almost killed me. Plus we got her a car (after weeks of looking and research). Best advice that I can give you is to start your kids driving early. Be creative and use a golf cart, parking lot, or anything that will prepare them for driving later on. Lindsey is playing varsity softball and travel soccer so she has a very busy schedule. Hunter is a Freshman and reluctantly running cross country. We are very proud of him for making this commitment. We are still battling with him constantly playing Fortnite. UGHHHH! Abbey and Mallory just love going back to school. They are both playing travel soccer while Mallory is also playing softball at school and Murphey Candler. They are very focused on working around the house to earn money to save in their bank account. I love that they want to save! Jeff and I do have some big news; we are building a house! We are just moving a little closer to the kid’s school. However, with all the rain it has pushed back our completion date from December to possibly February. So, we are experiencing what so many of our clients go through. 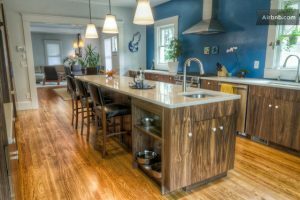 We had our current home pre-inspected and have begun the long list of fixing all of “the stuff you know about and live with until you want to sell.” Then, there are the cosmetic issues that may deter some buyers so we need to fix those items as well prior to selling. Time for your real estate update. Interest rates are suspected to rise more this year and more next year. This will mean we will ultimately see a shift which is ok. Inventory is growing in several areas which means prices begin to come down. Bottom line, your home must be priced right, in the right condition and have the best team marketing it to sell. The Suits Team has added a vendor concierge as another service to our fabulous clients and referrals. Heather will be calling and reaching out to introduce herself to you. Don’t miss that! We say all the time that you can call us, ask us questions, or pick our brain. Don’t, in a weak moment, make a mistake and hire the wrong team to help you, your coworker, friend or neighbor buy or sell a home. The Suits Team truly cares about you and your life. You are part of the family. We are here to help, always! Make sure you like us on Facebook and Instagram; you don’t want to miss when we do a giveaway for some fall football or other fun things! The Old Fourth Ward is quite bustling, as well as charming. 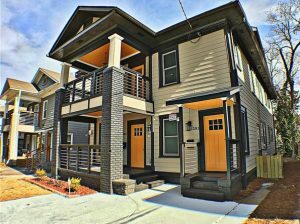 This Eastside Atlanta neighborhood is most famously known for being the birthplace of America’s most predominant civil rights leader, Dr. Martin Luther King Jr. 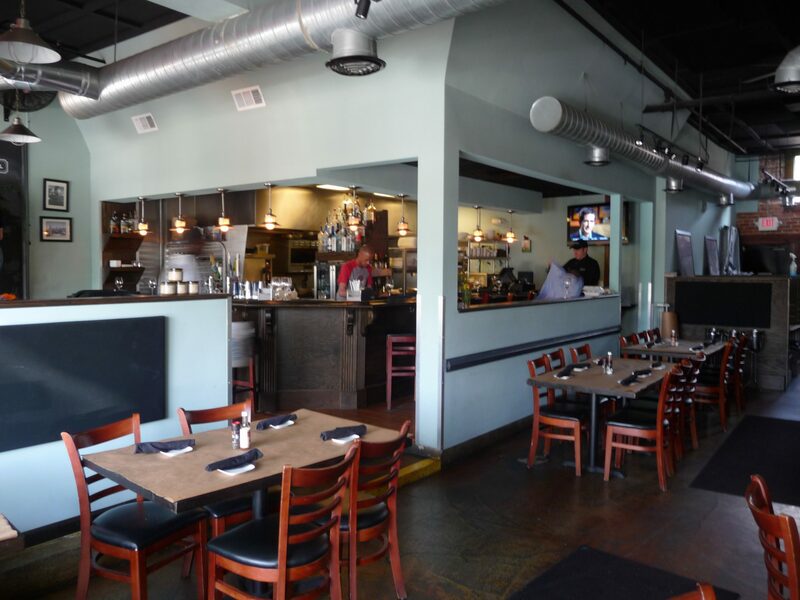 The area extends from Piedmont Avenue all the way to the outskirts of Inman Park. 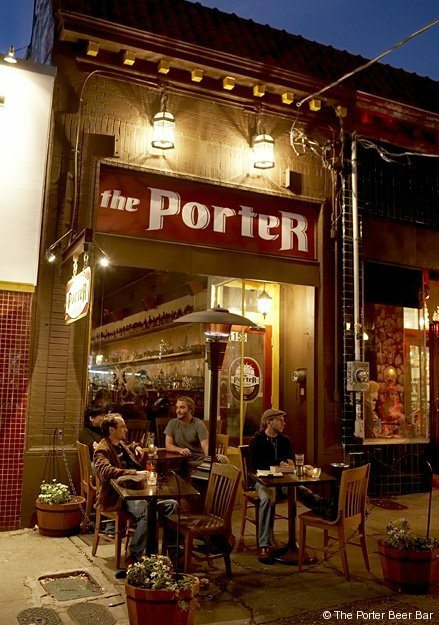 The artistic unity and fantastic restaurants bring plenty of locals and tourists to the area. As one of Atlanta’s oldest areas, its anything but boring. 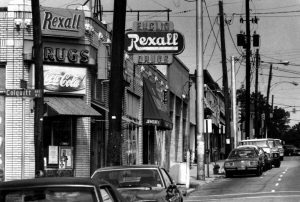 Check out Old Fourth Ward’s neighborhood spotlight! Old Fourth Ward (also known as O4W) was originally first settled in the 1800’s, with records of non-segregated neighborhoods congregating in 1890. Within the first few decades of the 1900’s, African Americans made up the majority of the neighborhood due to the booming of businesses in the city. Also during this time, O4W had Ponce de Leon Springs, which was a communal bathing destination where locals could visit to bathe and relax. 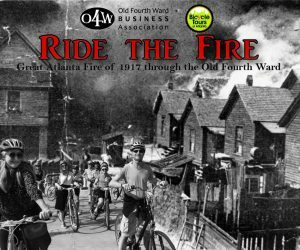 In the Great Atlanta Fire of 1917, more than 50 blocks of the city were burned down within 10 hours. Most of the damage was taken place in O4W. The causes of the fire were unknown, but it cost the city over $5 million in repairs. Repairs and rebuilding began immediately after. When the area finally recovered from the damage, the neighborhood became home to a baseball park, casino, and an amusement park. 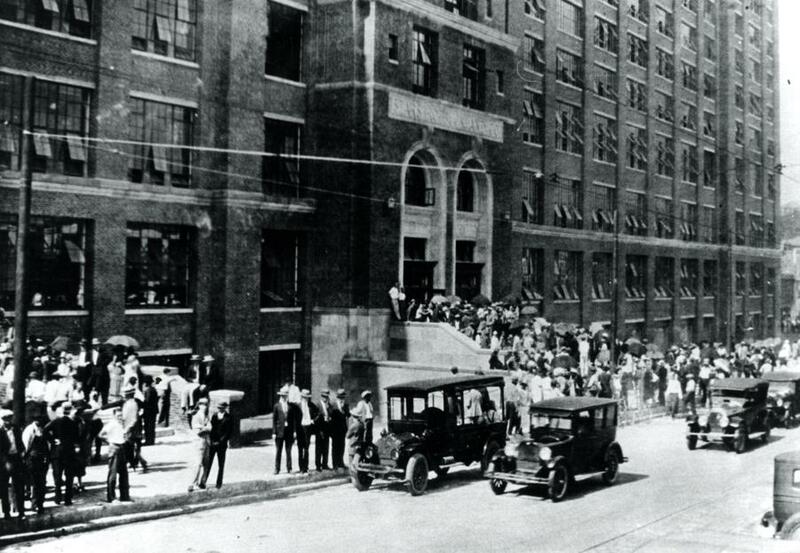 The popularity of the district eventually attracted Sears Roebuck and Company, who wanted to center their Southern Regional Distribution Center there. The building became the largest brick building in the southern region of the states and is now where Ponce City Market stands today. 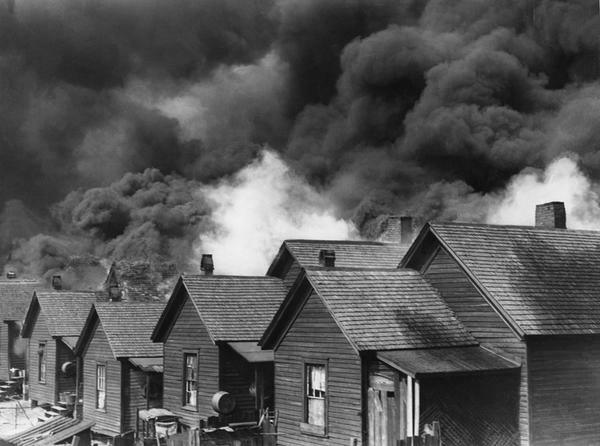 Once the stock market crashed in 1929, Old Fourth Ward’s development was abruptly stopped. 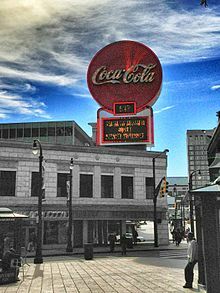 Also in the year 1929, civil rights activist MLK Jr. was born off of Auburn Avenue. The neighborhood still takes great pride in being the birthplace of MLK. Currently, Fourth Ward is an evolving green space area and is home to over 10,000 people. 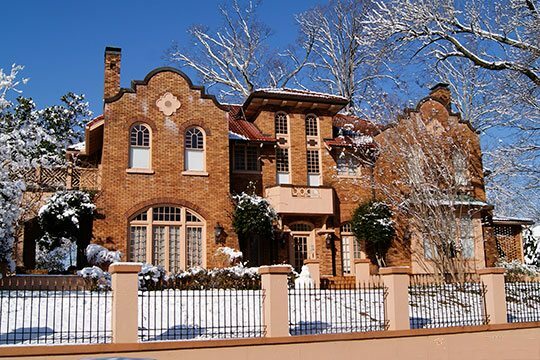 Like most historic Atlanta neighborhoods, many of O4W’s houses were 1920’s Victorian style. There are a few left over that still embody this style. Unfortunately, after the Great Atlanta Fire of 1917, many of these houses were burned down. Because of this, many apartment complexes were built instead. The current housing style now in Old Fourth Ward is mostly modern, with funky floor plans eccentric colors on the trim. On occasion, you will still see those Victorian mansions driving downtown. With the perfect mix of modern and historic, it is a great neighborhood to live in no matter what your taste is. The amount of great things to do in Old Fourth Ward is unreal. 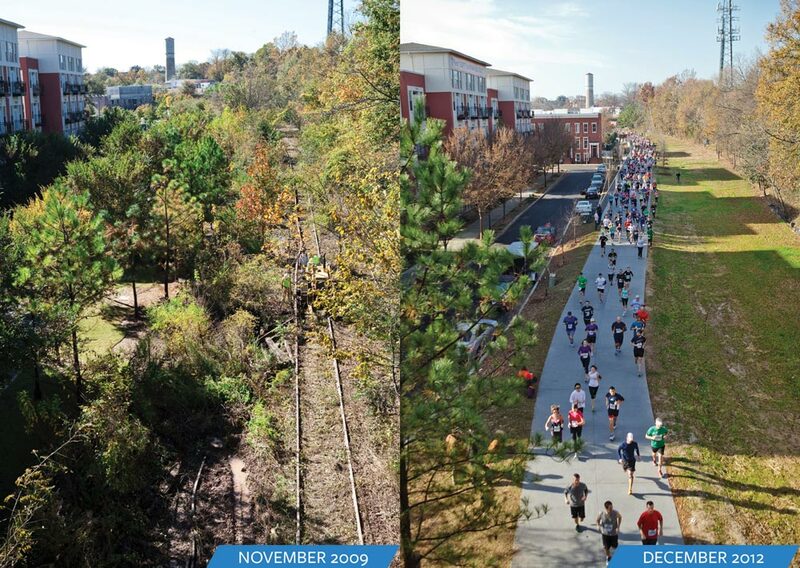 If you’re outdoorsy, the Beltline is perfect for you! The Beltline is a 22-mile long bike and walking trail, with its most popular trails being located in O4W. Whether you’re taking a bike ride or just a casual stroll, you’ll love getting your exercise here. 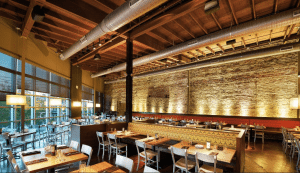 If you would rather shop or eat, then Ponce City Market is the place to be without a doubt. 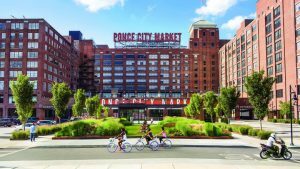 Ponce City Market is a community market that has flats, office, shops, and restaurants. In addition, it has a rooftop with mini golf and a bar that overlook the skyline. Its perfect for shopping, dating, and family events. 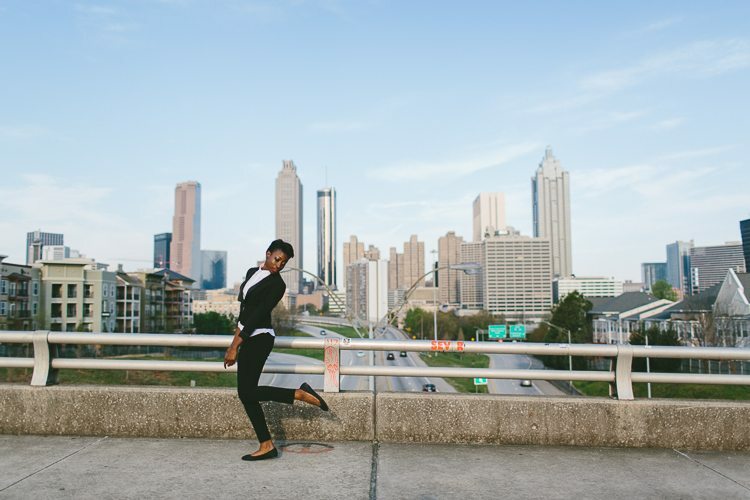 You can also take a visit to the picturesque Jackson Street Bridge, which is a bridge that overlooks an amazing view of Atlanta, and it’s walkable. 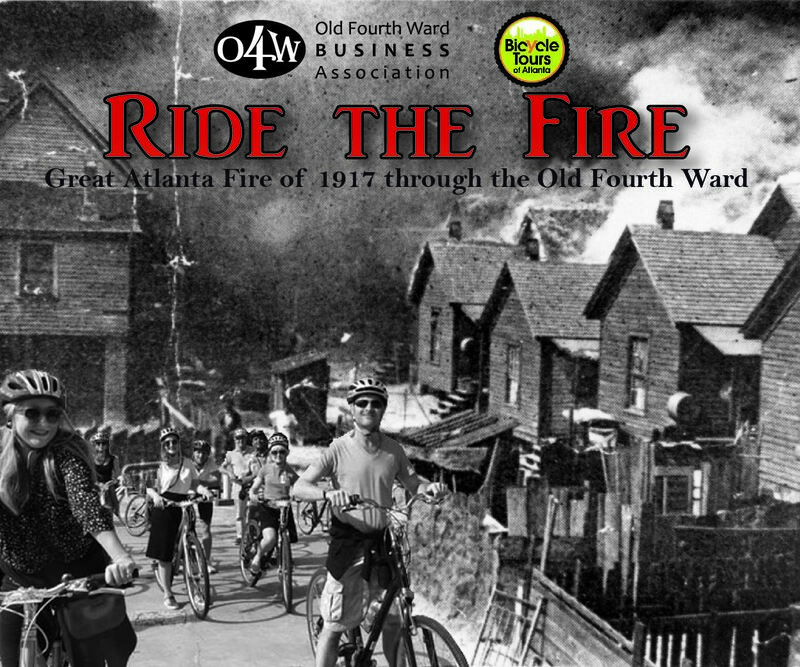 Other favorite O4W events include the annual Old Fourth Ward Art Festival, Sweet Auburn Springfest, and the Georgia Marathon. Its campfire themed and has delicious local beers! The perfect brunch spot- you can build your own breakfast! Cajun-infused American cuisine. Must try the flash fried oysters! 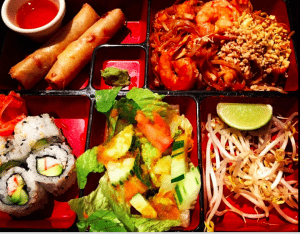 A hot spot for Japanese tapas and sushi. 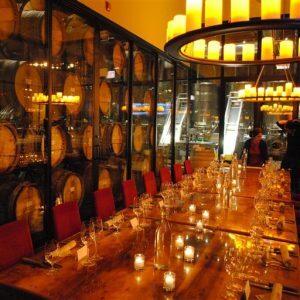 Wine, flatbreads, and live concerts, more than ideal for an intimate date night. 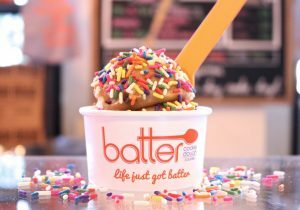 For those of you that have a sweet tooth, swing by Ponce City Market for some treats! 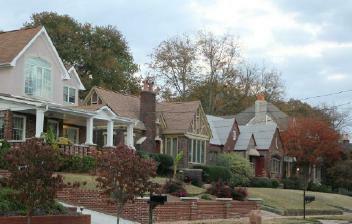 Another favorite Atlanta neighborhood! 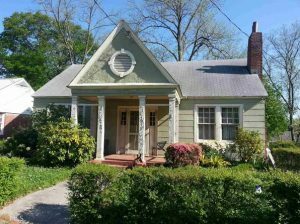 Located 2.5 miles from downtown, its surrounded by the subdivisions of Inman Park, Candler Park, Kirkwood, and Poncey-Highland. Little Five is especially known for its hipster-indie feel. Its filled with vintage clothing shops, jazzy restaurants, street musicians, and incredible wall murals. Its unique culture can appeal to almost anyone, especially for art and music lovers. 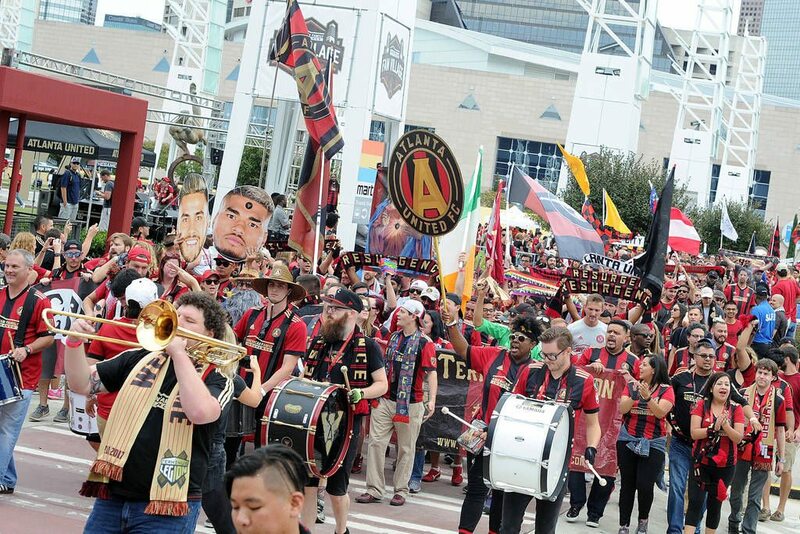 For a unique Atlanta experience, take a walk on the funky side of the neighborhood. 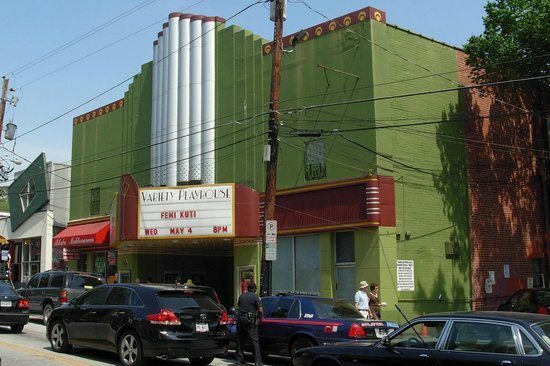 Little Five Points (also known as L5P) also has a similar history to Virginia Highlands. It started as a streetcar city around 1920, with the neighborhood being named after an intersection where 5 streets met. 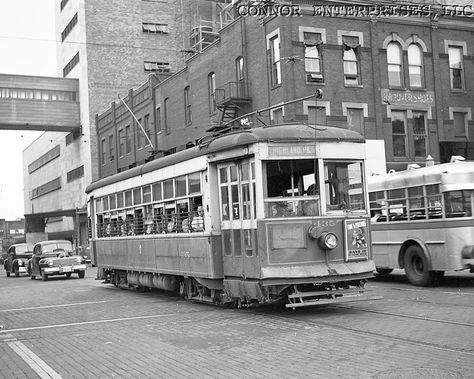 It became popular quickly, with families and businessmen constantly wandering the downtown streets on weekends. It was so appealing to families and couples because it was much cheaper to live there than it was to live anywhere else in the city. 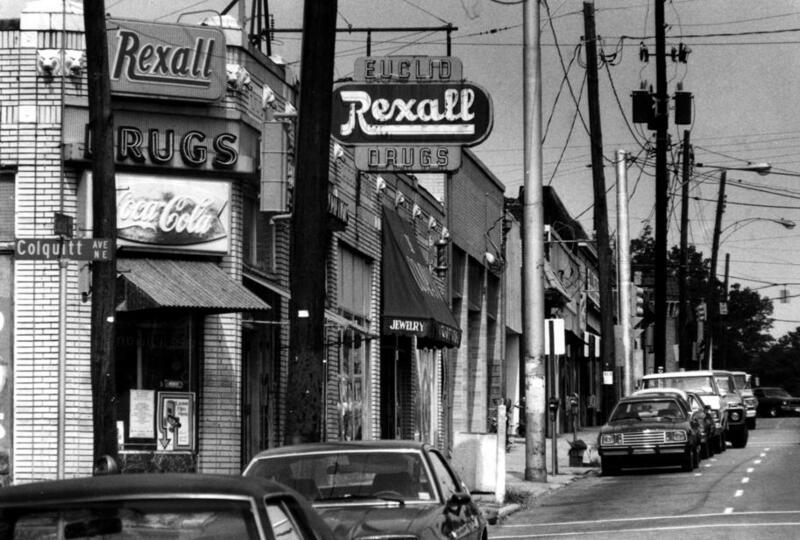 As the city of Atlanta grew, the curb appeal no longer lingered in L5P. Once the 1960’s came around, families began moving away from downtown. 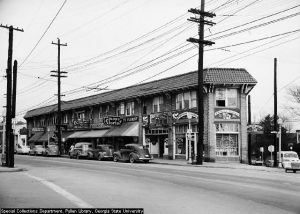 With the decline of customers, the local grocery stores and barbershops were transformed into strange antique and clothing shops. Towards the 80’s, hippies and younger adults started moving back to the area, living in simple bungalows. These groups of people wanted to live in a neighborhood that accepted music, art, and diversity. Since then, that is exactly what the neighborhood still embodies. Today, Little Five Points is considered the bohemian center of the south and it continues to celebrate its creative foundation. As there are not as many houses in L5P, the few that are there are often old Victorian style homes. Bungalows are included as well. In the 20’s, this was the most common style and was also the easiest accommodation for families at the time. In more recent years, there have been more apartment complexes and lofts available in the neighborhood. This attracts mostly young singles to the area. 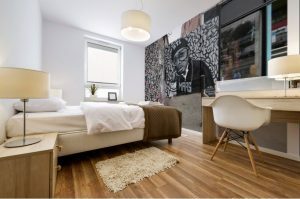 L5P apartments are often very diverse, with weathered wooden floors and bright interior paint colors. It reflects the vibe of the entire neighborhood. The downtown area, in addition, is filled with shops, restaurants, and theatres, designed much like a strip mall would be. Urban wall murals on the sides of the buildings will really make you stop in awe of how unique this district is. This neighborhood probably has the most unique events in the city. As you can probably guess, most of these events pertain to art and music. The 7 Stages Theatre downtown offers a range of quirky shows each month, while the Variety Playhouse hosts a ton of concerts to small acoustic artists. 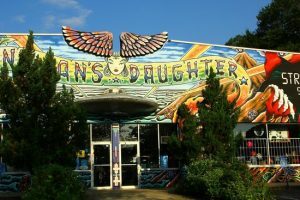 You can take a visit to the famous alternative superstore, the Junkman’s Daughter, selling all kinds of decorations and costumes. You will not find a store like this anywhere else in the states, guaranteed! Some of Little Five Point’s festivals include its extended art festival, which runs every weekend from April to November. Art vendors come out with tents and tables each weekend for locals to come shop. You can find jewelry, home decor, pottery, almost anything you can think of. 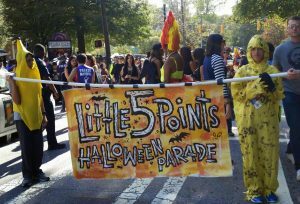 However, the most known event at L5P is its annual Halloween parade. Eclectic costumes, live music, and great food AND its family friendly! There is no better way to get into the Halloween spirit! If you can’t make it to any of these events, even just taking a day to walk around is an adventure in itself and you will not be disappointed! 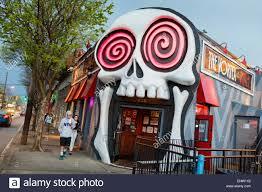 Probably Little Five’s most popular restaurant, adorned with a giant skull entrance, they serve incredible burgers and drinks! 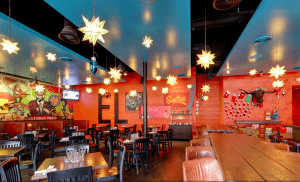 Mexican cuisine with yummy tacos and a great outdoor patio! Anything but ordinary Mediterranean food…must try the Falafel. New York style pizza with way more pizza topping options! Cute & quaint! Over 800 beer selections, say no more! If you’re from Atlanta, then you know just how spectacular the Virginia Highlands area is. Filled with edgy restaurants, eclectic art galleries, and quaint shops, you can find just about anything you need down here. Even just driving through this subdivision is nothing short of magical. 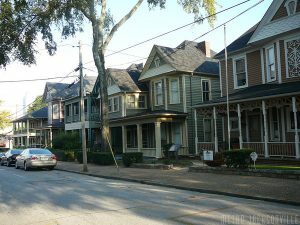 Keep reading if you want to learn more about Atlanta’s coolest historic neighborhood! 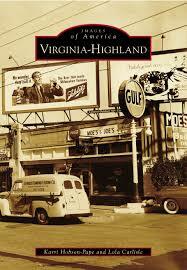 Virginia Highlands is well known for its rich history. First settlements of the area date back to 1812 when a man named William Zachary bought his own plot of land and built a farm. Decades down the road in 1880, the Atlanta Street Railway Company decided to create a streetcar line system that allowed local residents to travel to the countryside. 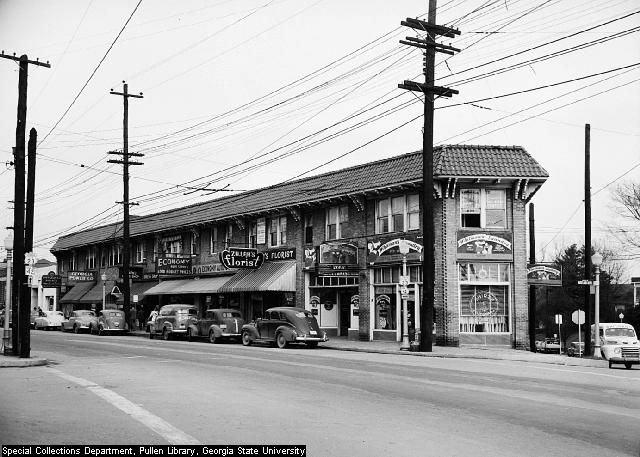 This project was called “the Nine Mile Trolley.” After the come up of the streetcar system, the first homes of the neighborhood began to emerge between 1909 and 1926, as well as restaurants. 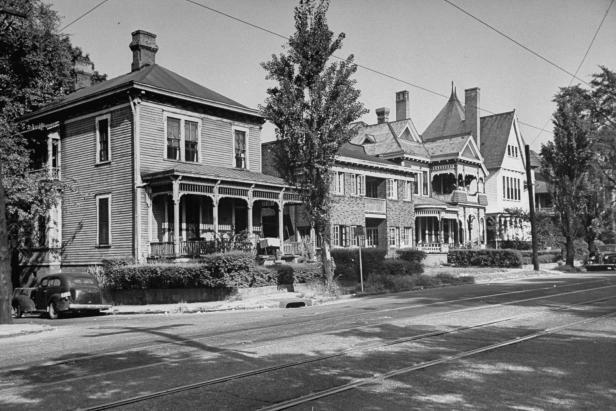 Eventually, the streetcar services ended in 1947 in Virginia Highlands and in other Atlanta subdivisions. The neighborhood suffered a major decline in the 1960’s when families decided they wanted to move out to the suburbs. As these affluent families moved away, lower-income families moved in and crime rates began to increase. 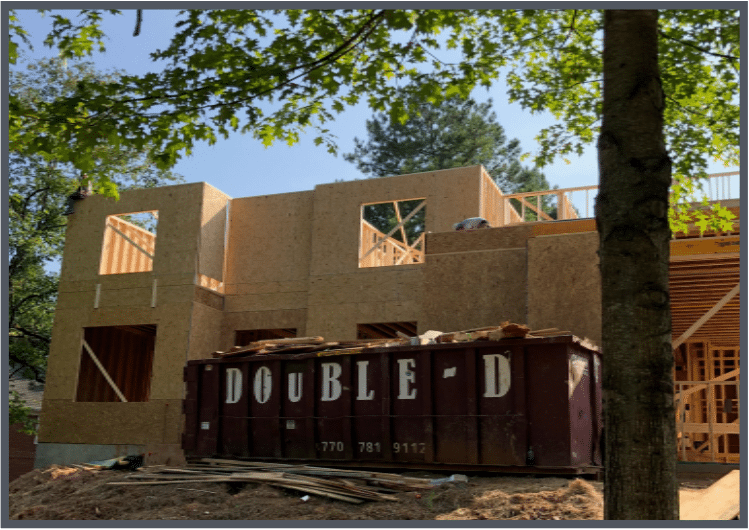 With 20 years of degeneration, things turned around in the 80’s when the Virginia Highlands Civic Association (VHCA) aided residents in home inspections in order to increase resources for them to renovate. Property values of the area began to increase in the year 2000 and have remained steady since. 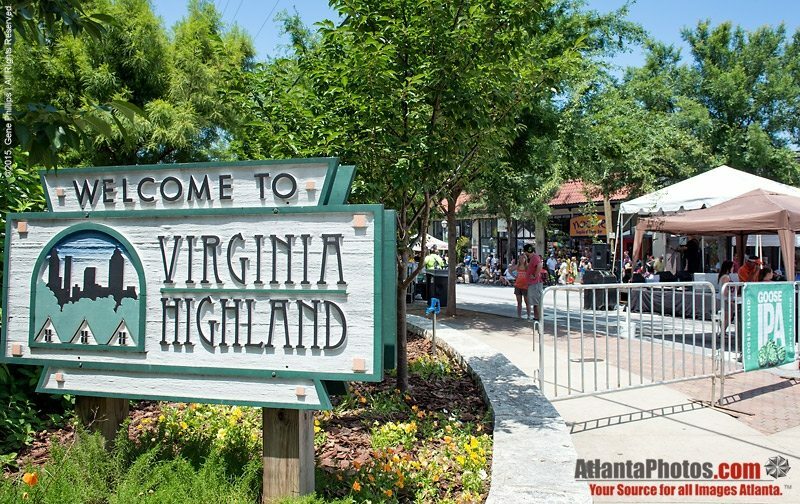 Ever since the revamping of Virginia Highlands, it has since been recognized as one of metro Atlanta’s best neighborhoods. Architectural styles in Virginia Highlands feature a plethora of different styles. Most common are the 1930’s Tudor style homes, foursquare homes or 1920’s Craftsman-style bungalows. In most cases, the exterior of these homes resemble an older fashion, but the interior of these homes are modernly renovated. 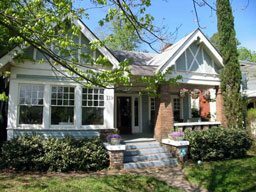 In older areas, homes are located decently close to one another because of the streetcar system that previously existed. 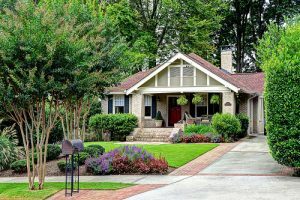 You will truly find no other homes like these in the state of Georgia. 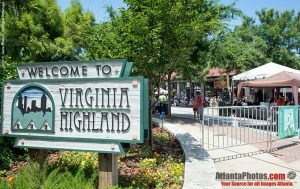 If you’re looking for an urban, retro neighborhood that still gives off that sweet southern charm, Virginia Highlands is your place! You can probably imagine that this neighborhood has plenty of events, and you’re exactly right! In this neighborhood, there’s a little something for everyone. In March, the neighborhood hosted its very first Atlanta United Block Party, where Atlanta United fans drank and celebrated together before walking to the Mercedes-Benz stadium for the first game of the season. Another awesome event is the annual Virginia Highland Tour of Homes. 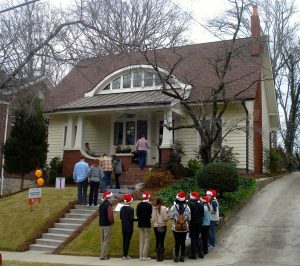 Each year, visitors come out to tour the neighborhoods finest homes. Food tastings are part of the fun as well. Lastly, the ultimate favorite annual Summerfest Festival hosted every summer. This festival features art, music, food, and fun over a hot summer weekend for guests to enjoy. Your typical American restaurant and late night tavern, but its yummy and it’s Atlanta’s oldest restaurant! 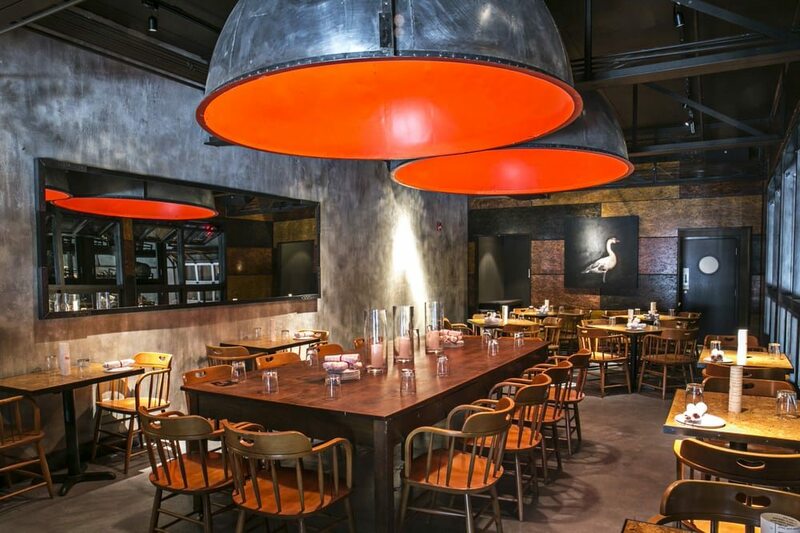 Modern American cuisine with an atmosphere you’ve never before seen! Thai & sushi, amazingly decorated plates with some great Asian fusion! It’s getting to be that time of year, spring and summer are upon us! 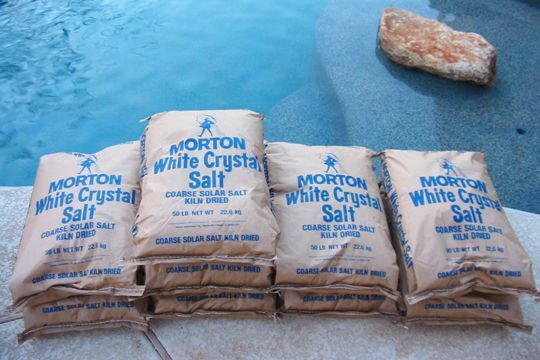 With the scorching Georgia heat on the way, its time to get that pool up and ready. 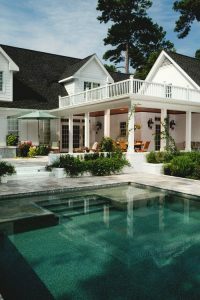 Here are some great trends to upgrade your pool for a kick-back summer at home! 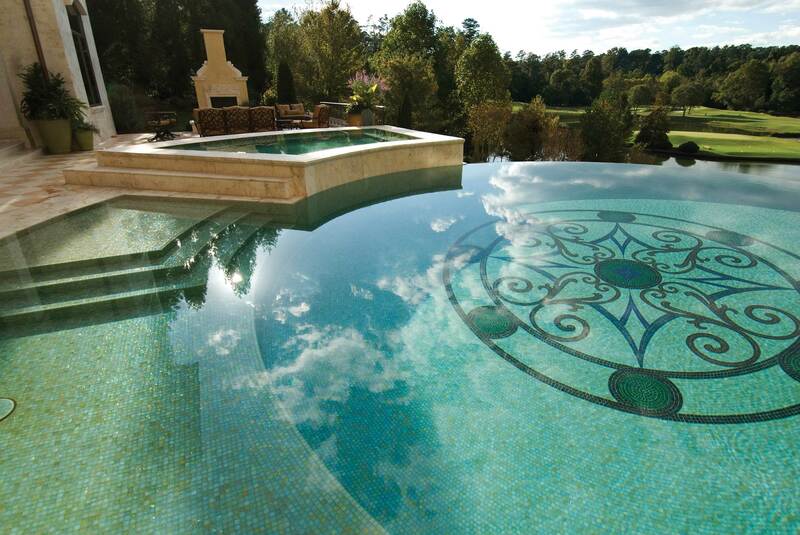 Many homeowners with pools are making the switch from chlorinated pools to saltwater pools. Chlorine is a powerful chemical that can irritate the skin and hair. It can also leave a horrendous after smell when you’re through taking a dip. Saltwater, on the other hand, is a lot milder. Saltwater sanitation is a natural sanitation process, and it leaves the water just as clean. The cost of upkeeping a saltwater pool is also less expensive. Easier maintenance, less irritation, and more cost friendly- I think the choice is very clear with this trend. 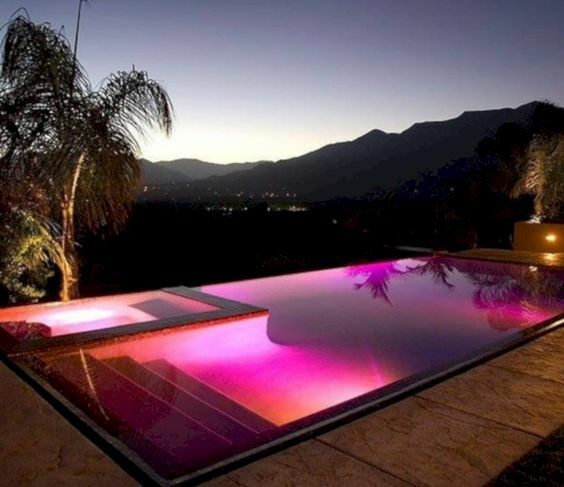 Adding some playful lights to your pool will really add some pops of color to your backyard. Be as creative as you want with this, there are even lights that you can adjust the settings of the color and how often the color changes. Luckily, they can be found almost anywhere, from your local pool supply store to Amazon online. Wheather you line your pool with lights or you hang them above the pool, these LED lights can enhance or stimulate your mood when you’re having company over for a night swim. It’s a party in your pool! 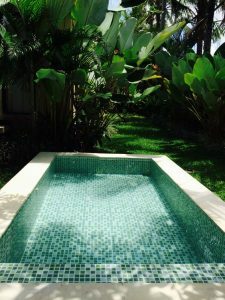 If your pool is looking a little lackluster, here is another easy fix. 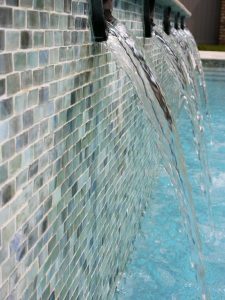 Adding some tile mosaics to your pool can give it that gorgeous look you’ve seen at high-end beach resorts. You can choose anything from glass tiles to porcelain tiles to enhance the appearance of your pool. You can install them at the bottom of the pool, or around the outskirts of the concrete to match it to your patio furniture. Creating a mosaic centerpiece would also really make it unique. Try and aim for cool or earthy tones to really give it a cozy, relaxing feel. 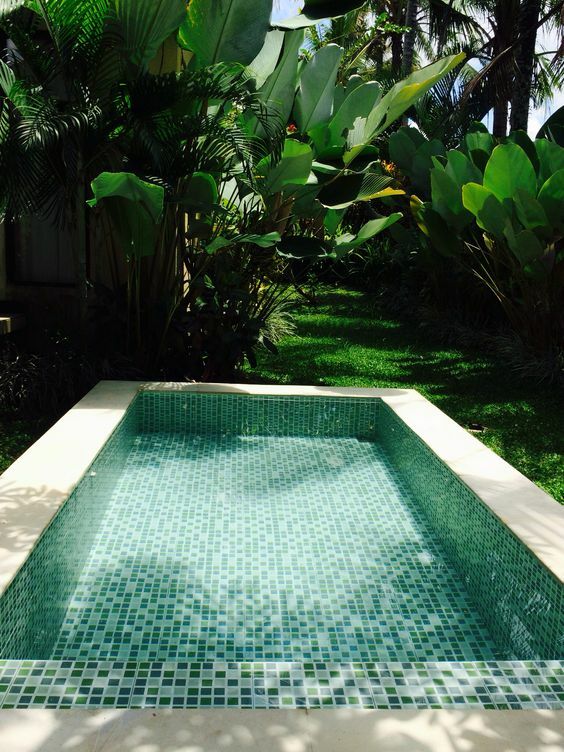 Treat yourself to your own backyard pool retreat this summer!